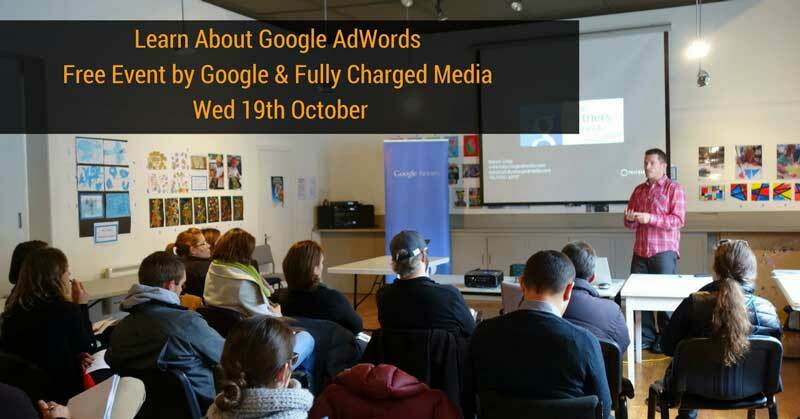 I am delighted to be hosting another Google Partner Connect AdWords events in Queenstown on Wednesday 19th October, from 1.45pm until approximately 3:30pm. Venue : Queenstown Resort College. This is a FREE event, and will have a live stream from Google Australia and New Zealand, exclusive to businesses in the Google Partner Program. Register at https://partnersconnect.withgoogle.com/event/fully-charged-media to grab your space. Spaces are limited. Free nibbles at the event, courtesy of Google. This event will have 2 speakers from Google AU/NZ discussing how to get the most out of their products such as Google My Business and AdWords and provide some insights into today’s marketplace. Do You Really Want To Be “Top of Google”? If you are confused about what it means to the the “top of Google” I will talk a bit more about that in a brief presentation afterwards. What the “top of Google” means to most businesses is the top of organic search results. This can be a hard thing to achieve, but sometimes the top of organic results are three scrolls down the page (try Googling “hotel in queenstown“)….therefore nowhere near the top! Mitchel will discuss Google’s “micro moments” research. Elizabeth will talk about how you can start promoting your business online for free with Google My Business, and how advertising is a great next step. Note : I’ve seen many Google My Business listings set up incorrectly! Come along to find out how to do it properly. Sometimes digital marketing starts with the simple steps like listing your business properly online, and it’s always surprising how many aren’t. Come along to this free event for some insights into digital marketing and paid campaigns. If you want to ensure your business is positioned properly online and are seriously interested in advertising online, register at https://partnersconnect.withgoogle.com/event/fully-charged-media to grab your space. Feel free to pass this invitation on to others you think may benefit.